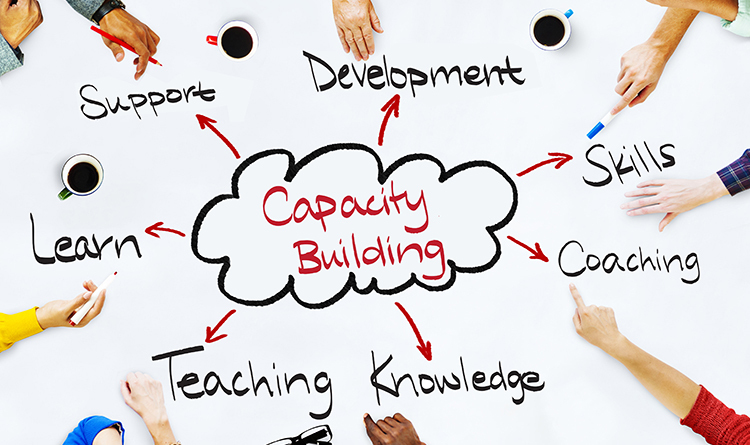 A typical institutional development and capacity building programme focuses on the following areas: strategy and governance, human resources and organisational development, management, marketing, and internal systems. Where documents pertaining to the organization and its services in developed countries are collected and studied and best practices are defined. Where all the areas in the organization are audited and benchmarked against the identified best practices, gaps are identified, Strengths and weaknesses are analyzed. Based on the preparations, best practices and audit results, Megacom will draft a detailed Institutionalization Development and Capacity Building Programme in operational areas taking the assessment report into account. Megacom presents the new IDCBP to all stakeholders in order to gain their support and commitment. Then in collaboration with all the involved entities, Megacom delivers the program including all the training and mentorship activities.